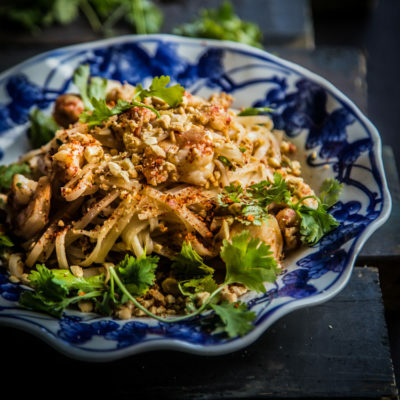 In this post I share with you what makes a good pad Thai that you can recreate at your very own kitchen. Place a wok or cast-iron skillet over high heat until hot. Add 1 Tbsp of oil. Add the noodles and stir fry until they started to get soft. Dish them out and set aside. Some dried pad Thai noodles come in sizes like S,M,L, and XL. The size usually indicates the wideness of the noodles. For Pad Thai, I will stick with size S or M. I usually use S, which means it's flat and thin.